CCL Kontur is looking forward to seeing you at our stand B617 in pavilion 1, hall 2. 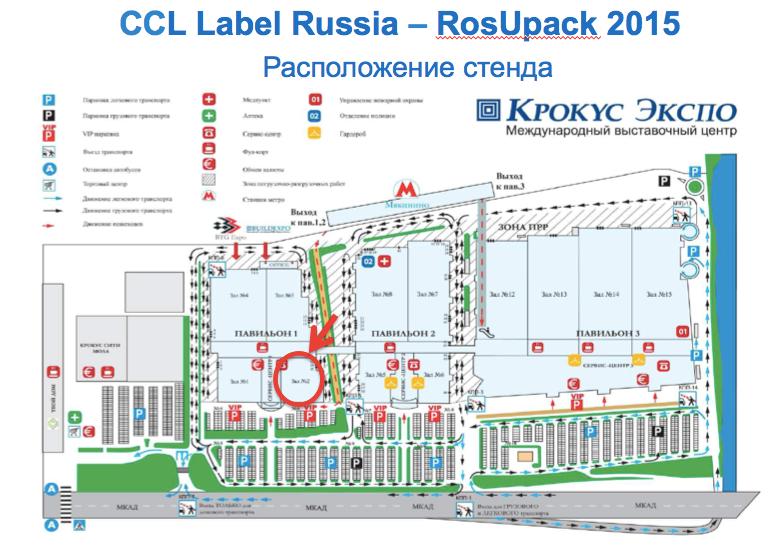 CCL Kontur is pleased to invite you to attend our stand at the RosUpack—2015 exhibition, which will be held between June 16–19 in Crocus Expo IEC, Moscow. There will be labels for different production areas, like drinks, alcoholic beverages, food products, cosmetics and perfumery, household and petroleum products, and also promo labels on our stand. The specialists will introduce customers with a broad spectrum of technological possibilities for producing self-adhesive, in-mould and shrink-sleeve labels. Address: Crocus Expo IEC, Pavilion 1, Hall 2, Stand В617. For more information about the exhibition, please visit www.rosupack.com.